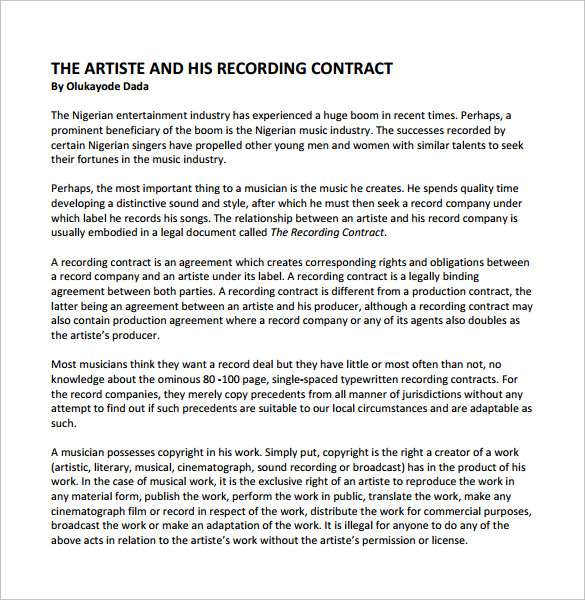 Also known as a record deal, a recording contract is the deal which is made between the recording studio and the artist. 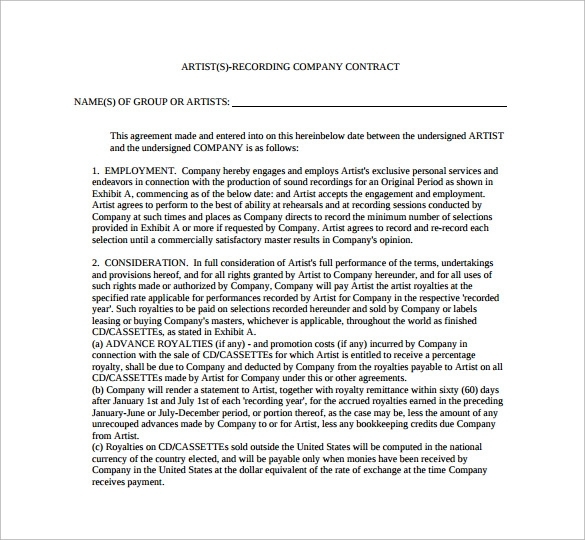 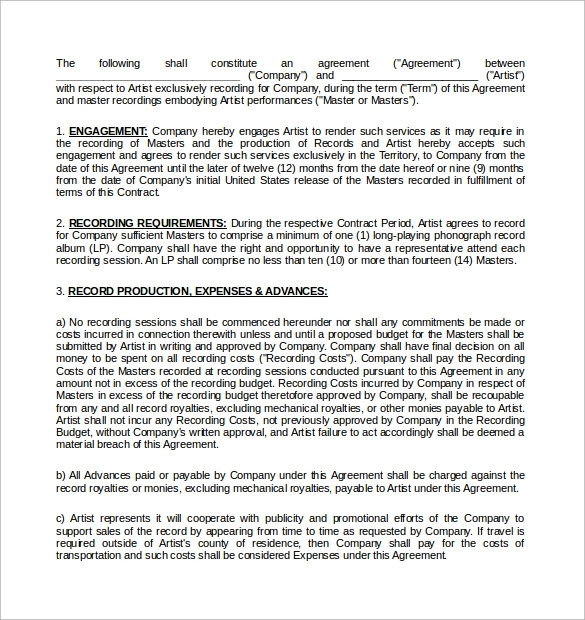 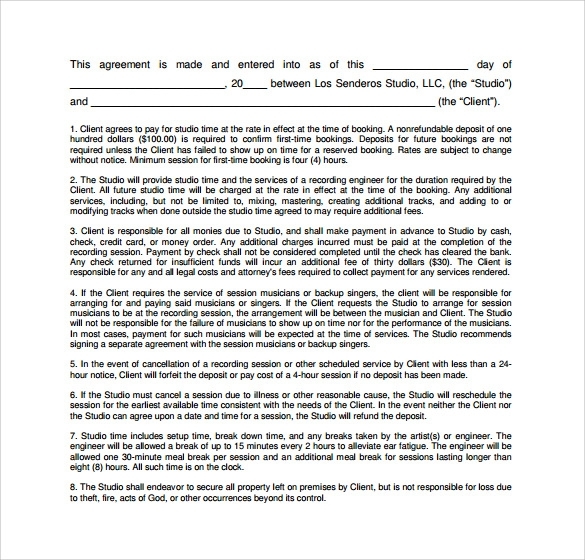 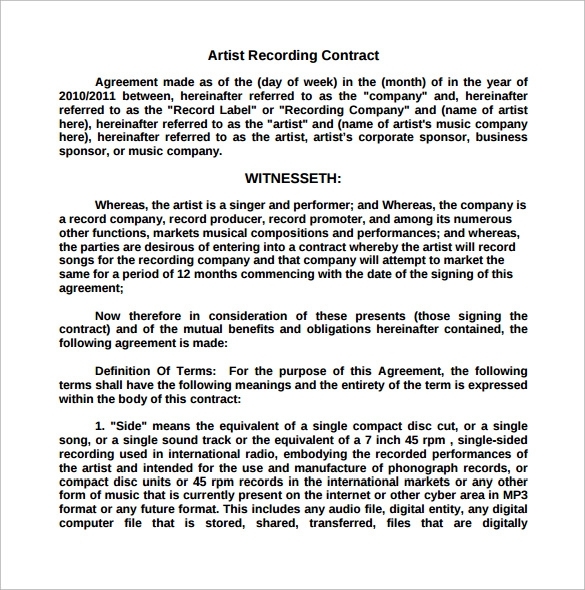 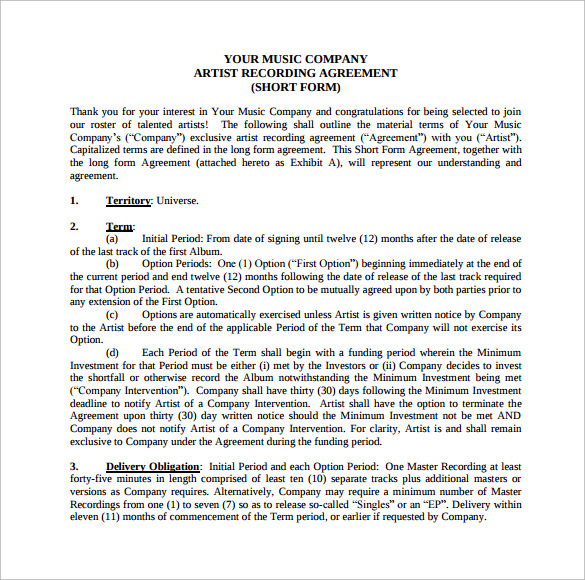 Using a recording Music Contract Template for creation of this type of agreement is good idea. 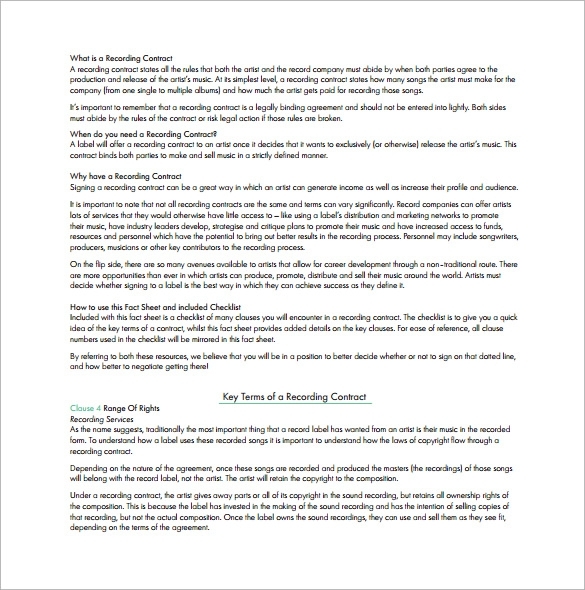 Are you finding one template for you? 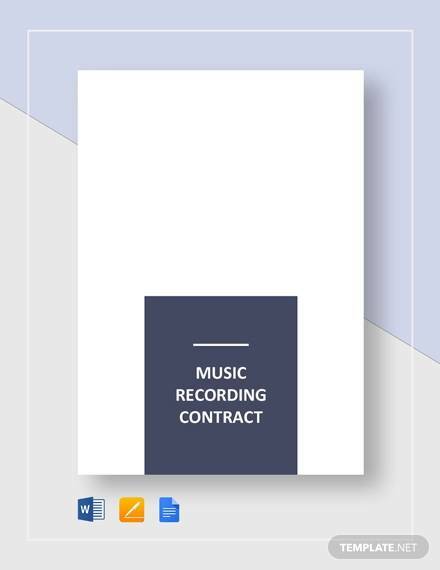 Well your search is now over. 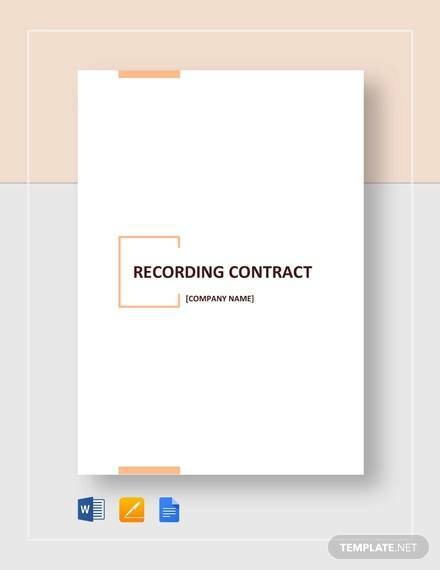 Our site has got a collection of recording contract templates with various examples and we provide them in various universally acceptable formats like PDF and word. 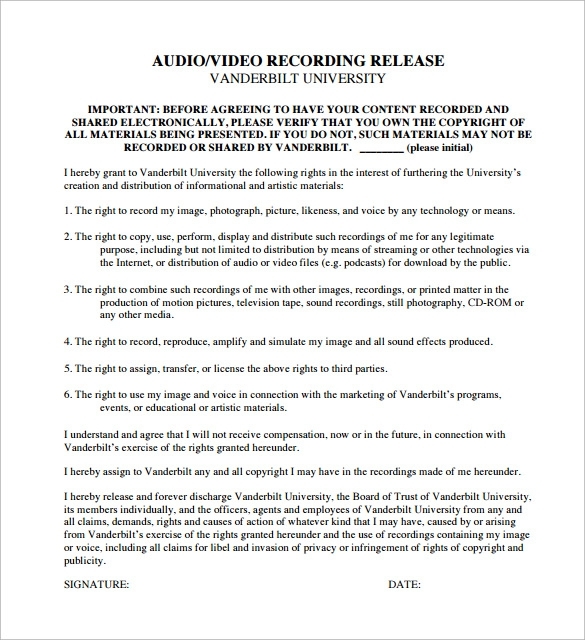 Thus it makes it easier to download them and use. 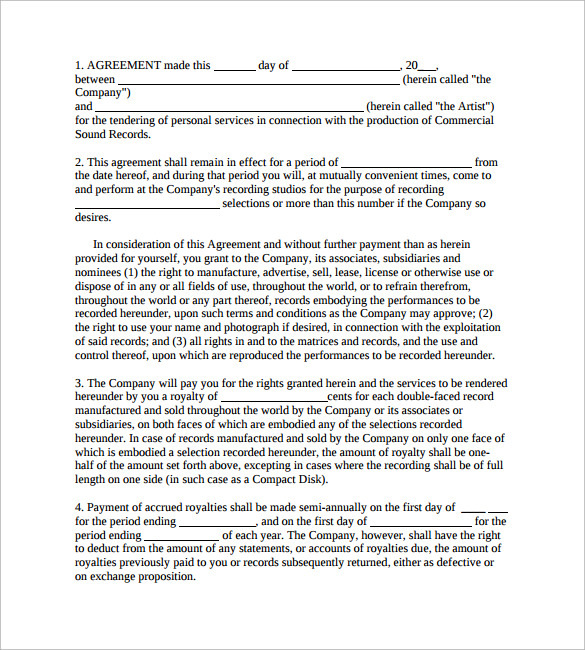 Moreover the templates are editable so that you can customize them as per requirement.